Under the creative direction of Cindy Leske, Chicago Loves Dance thrives on bringing the art of dance directly to you being able to services students from many communities all over the city and suburbs. 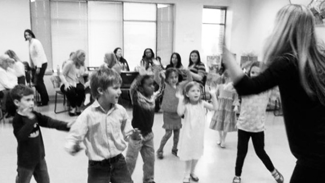 Dance should open your child’s creative abilities and be FUN! We pride ourselves on teaching the self-esteem and socialization needed in everyday life through the activity of dance. Students from all levels of dance ability can thrive and succeed to their fullest extent.